Wow! That’s the only word that instantly comes to mind when I think of the energy that has come to earth as we head into the eclipse season. This flow of energy is requiring us to maintain as much balance as possible while opening ourselves to the new. In many ways it feels as if the field becomes unstable because of the flux of energies and it is dedication to staying centered that secures it again. Physically we are all over the place. Some are finding they need to sleep extra as it is the body’s way to integrate the energies. For me, I am finding that sleep is not coming as easy as it normally does. There is an undercurrent of excitement in my body that feels very similar to how I feel during a full moon. The bonus to the sleeplessness is the lucid dreams and ideas that are streaming in. The biggest complaint I am hearing and have experienced are the headaches. The skull feels like it is being squeezed. For some this is debilitating and for others it is a back ground pain. Children and pets are not immune to what is taking place, so you may find them extra clingy and moody. My little one woke in the middle of the night with a terrible headache and just held her head telling me how badly it hurt. She also felt warm, but by morning she was perfectly fine again. Vision is really interesting right now. This is a direct result of the light codes altering the brain. Some may experience blurry vision or even the eyes jumping when you try to read. Emotionally, many are experiencing what feels like a life review. Things are coming up within our memories and even in the physical so that we can reconcile and release the past. It feels very much like we are all making the choice of do I want to continue as I have always done or do I want to release and walk into the new. Some are even finding that people from their past are contacting them again or that another person who holds the same type of energy as a person in the past have come forward. For instance, you may encounter someone who has the energy of a past romantic partner so that you can decide if you want this energy in your life going forward. When you see it this way, the patterning that we hold becomes clearer and it allows us to see how much we have changed in this process. What I am also seeing is the resurgence of our stuff. Things we thought we had under control. Things we thought had changed or that we had overcome. It is in these moments when we feel we have fallen off the path that we must not beat ourselves up, but see that it is appearing again to show us parts that still need clearing. When you can see the same issue from a deeper perception of understanding and forgiveness of self and others, then you know that it is simply that you cleared a layer and are now going deeper. We can be terribly hard on ourselves and it is this self-depreciation that slows down the process not the fact that an issue has come up again. Part of this process is owning our stuff and becoming aware of where it impacted our life. It is truly becoming completely responsible for all aspects, the good, bad and ugly. It is from this place of awareness that people can change. Yet, so many of us become aware, begin to change and because the results are not instantaneous we think we have failed. When a pattern has been a part of our life for a long time the flow of energy confirming that pattern is very strong, it will take a lot to change it. For example let’s say someone has a habit of not taking responsibility and blaming others. The river of energy supporting this is long, wide and deep. When they decide to take responsibility, it diverts energy from the river into a stream. Energetically though that main river is still strong and flowing even though some was sectioned off. It will take a person consistently diverting the river of blaming others into the steam of responsibility before the original flow is weakened enough to not be the dominate energy. It takes a strong person to really change themselves so when you do have slip ups, be compassionate and be your own cheerleader to make sure you continue putting energy into the flow you do want. I’ve been contacted by a few people who feel that they missed out on the Lion’s gate energies because of a slip into old patterns or because they simply didn’t feel anything. I want everyone to understand that this is not a one shot deal. All energy that comes to earth during these incredible portal openings stays on earth. It does not simply go away once the event is over. In December 2012 I was just really beginning my understanding of this process and was told that I needed to stay awake and mediate at exactly 12:12 on December 12, 2012 in order to receive the energies. Well, I tried but just couldn’t stay awake. I woke devastated thinking I had missed something, that I had been left behind. What I have come to realize now is that the codes on earth that triggered my awakening are the same ones that are triggering people now. When it is the person’s time, a switch is flipped and the process begins. 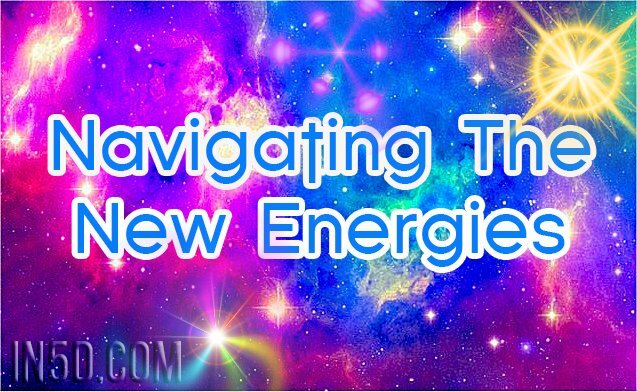 Think of each new energy portal and blast as a new course available at college. Not everyone will be ready for the higher class at the moment it is introduced. There may be prerequisites that need to be taken first. However, once all the prerequisites have been taken, the entrance into the next level is wide open. What is amazing is there is no time limit on when the courses have to be taken. Some will integrate and let go at lightning speed and others will take longer. There is no right or wrong, simply trust that all is happening in perfect order. One thing that needs to be avoided on this journey is setting strict hard rules for yourself. Allow yourself to morph and experience all the different parts. Mediating is a great example. Do I recommend it, yes, but only if it brings you joy. You could go kayaking, walk on the beach, go for a drive etc. and achieve the same head clearing and centering of being. When what we are doing becomes another obligation in life, we have lost the point. The point of all the spiritual practices are to bring you to you and at your core you are joyous and love filled for self and others. If what use to bring you joy, no longer does, then switch it up. Find new ways to bring yourself into balance. Many are feeling the call to be of service. It is a strong pull but one that can lead to confusion. I find that some feel the call and it is so strong that they change everything in their life but then are paralyzed at how many things have changed in their life and fear takes over when they crunch the numbers. Nothing stops the flow of abundance more than fear. What I would like all to understand is that many of you are needed exactly where you are at this moment. When you are no longer needed there it will feel like you have no other choice but to move on. The call to be of service to others is an important one and many try to fit it into this spiritual box. That unless they enter into some sort of healing field, they are not serving. Yet what is needed in this moment is for each person to recognize their worth and contribution in whatever form it appears. What is needed are boots on the ground. Think of a person in your life who made a huge impact. Were they spiritual? Or did they simply provide you with something you needed. One of the people who made a giant impact in my life was my neighbor when I was a child. I adored her, even called her Granny. My home life was filled with turmoil, abuse and alcoholism. When my soul needed a retreat I would walk across the street and knock on her door. She would always great me with a smile and an ear. She soothed me just by being there. Was she in service? Absolutely. Throughout my corporate working career there were people who helped guide me and open up avenues of thought for me. They were people who saw me for me and held a deep love for all. Yet, their job titles were manager, claims processor, health educator and mail room clerk. They brought the spirit of unconditional love and grace into their position and to me. They were the boots on the ground. We need more of that. To be of service means that you see people and value them for the brilliant, shinning souls they are. Your title and how you earn a living don’t really matter unless you bring your call to serve into what you do every day. Then you will see that your profession is just an avenue to reaching more people with loving, open energy. I hope this post finds you well and that the integration process is going smooth for you. If it is not and you are feeling tossed into the wind, now is the perfect time to give yourself some love. Thank you to all who share and support this work.